Dialogue with Pakistan must go on. But India urgently needs counter-terrorism capacity-building. Exactly a week after Prime Minister Narendra Modi landed in Lahore, hoping to “turn the course of history”, his ambitious project is being tested by fire. 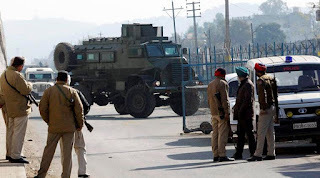 This weekend’s terrorist attack on Pathankot was no surprise; indeed, many in India’s intelligence community had predicted it. Each past effort at peace, after all, has provoked similar strikes. It is too easy, though, to attribute the strike to unnamed spoilers. The more complex truth is that while Pakistan’s all-powerful army seeks to avert a military crisis that would drain its energies at a time of grave internal turmoil, it does not seek normalisation. Pakistan’s army chief, General Raheel Sharif, has made it clear that he will not accept the status-quo on Kashmir. The strike on Pathankot, carried out by the Inter-Services Intelligence’s old client, the Jaish-e-Muhammad, serves a very specific purpose. It signals to Indian policymakers that the Pakistan army can inflict pain, but at a threshold below that which makes it worthwhile for New Delhi to retaliate. Barring reflexive hawks, after all, no one would argue that it makes sense for Delhi to risk even limited conflict after the strike on Pathankot.